This 108 bead mala can be worn as a necklace or bracelet. Strung on stretchy and strong large gauge crystal clear beading elastic. 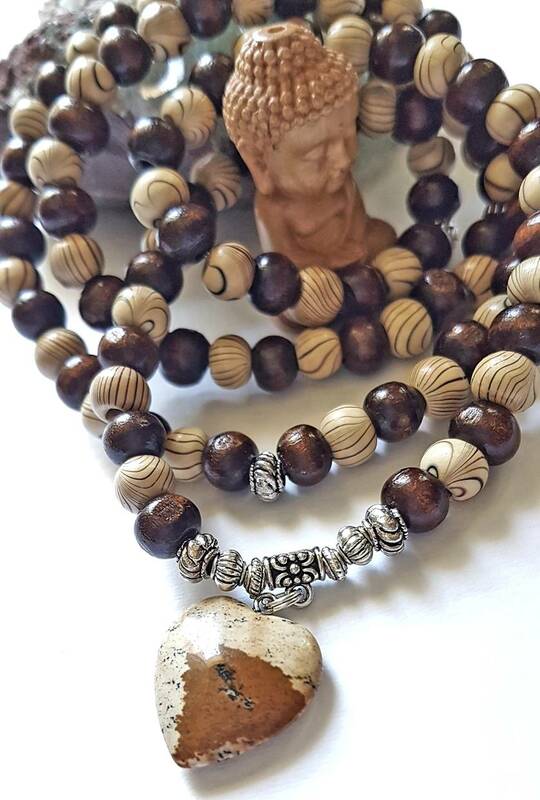 With a picture jasper heart and tibetan silver (zinc alloy) beads. 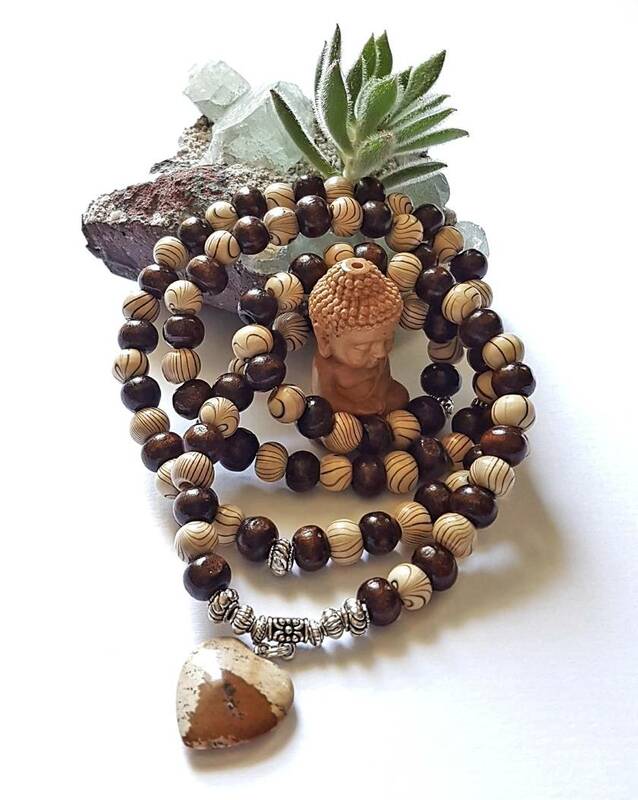 The jasper healing properties bring strong healing and nurturing energies to provide you with courage and wisdom. A Picture Jasper stone is often referred to as the Stone of Global Awareness because of its deep connection with the Earth. It is widely used in meditation to merge with the consciousness of the Earth, helping you to connect with the Earth’s grounding and joyful energies. 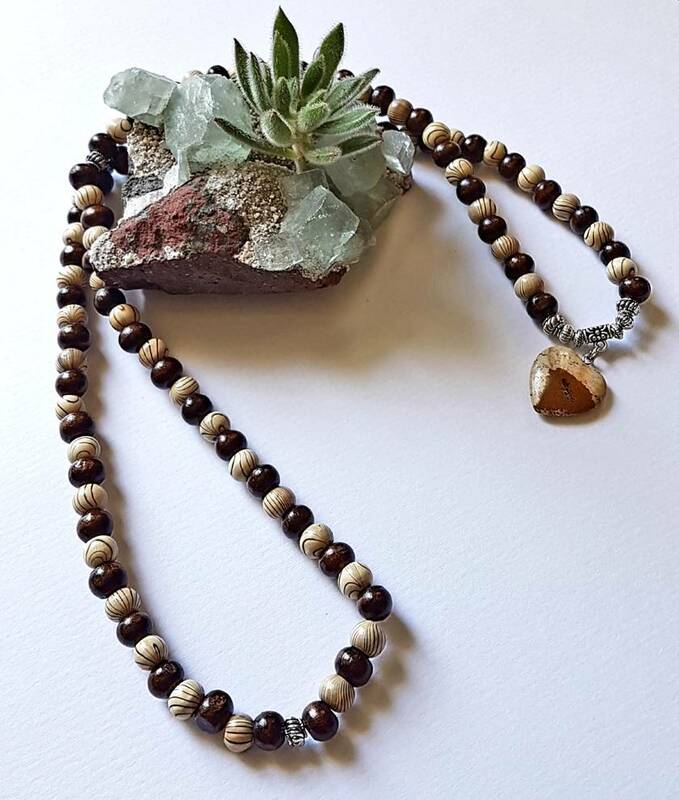 As a nurturing and protective stone, the picture jasper meaning helps to bring you comfort, alleviating any fear, stress or anxiety you may be feeling. It stimulates the root chakra, filling your body with grounding, spiritual energy. A Picture Jasper stone is full of masterful “scenes” and “landscapes patterns” that are believed to carry messages from ancient civilizations. Due to this, picture jasper is believed to connect you with the energy of sacred sites and ancient civilizations to encourage an ecological responsibility. It connects you with the Earth’s vibration and consciousness, helping you to understand that living in balance and having respect for the Earth is vital for us.